These elegant favour gift boxes are suitable for both your male and female guests for any special occasion or event. Click to view a selection of ribbon colours, chocolate fillings and to order your 2 Choc favour boxes. 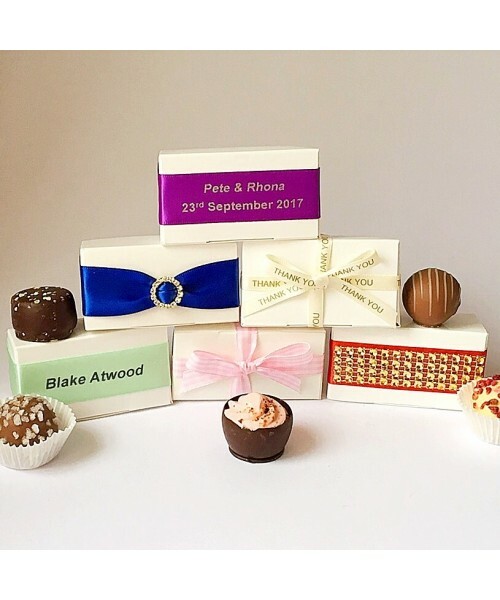 We would have no hesitation on recommending The Chocolate Favour Box to anyone. Thank you so much for our Pillow Favour Boxes. They are just perfect for all the guests at my sons Christening. Fantastic service, will certainly be returning in the future! The Chocolate Favour Box © 2018. Website Design By Popcorn. All Rights Reserved.